Altec has brought the 2nd model of the Heartland tree care truck on the market. Demand for more reach came from the end users in the tree care business. Thanks to a bigger model Effer crane, the EC225-6S-FG, there’s 7 feet of extra cutting height. Also the crane has been placed different on the truck chassis. The first model, with the EC175-5S-FG crane, has it placed exactly behind the cabin. 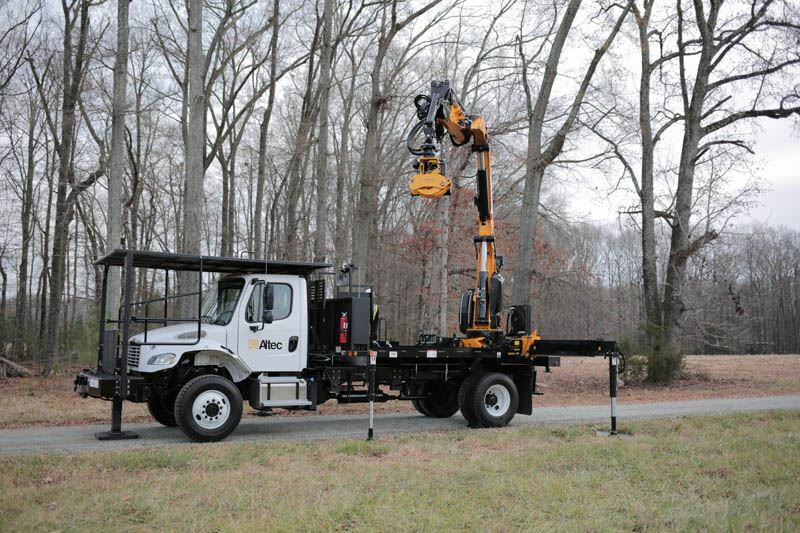 This 2nd model has a rear mounted crane which makes sure the truck can be parked 10-12 feet closer to the tree, which also is a plus for the reach. The first unit of bigger Heartland remote controlled tree removal device has been publicly announced during the TCI Expo last year November in Columbus, Ohio.